Ø The majority of its designated partners (being not less than two) must make a declaration in Form No. 2 verified by an affidavit to the effect that the LLP has no debt or that it will be able to pay its debts in full within such period, as may be specified in the declaration, but not exceeding one year from the commencement of the winding up. (b) it contains a statement declaring that the LLP is not being wound up to defraud any person or persons. a valuer, if there are any assets of the LLP. Ø The LLP or its designated partners may repay any dues of the creditors or satisfy the claims of creditors in any manner, before any such declaration is made. Ø Where any LLP has creditors, secured or otherwise, such LLP must, before taking any action for winding up of the LLP, seek approval of such creditors and shall send them, by registered or speed post or any other mode defined in rule 15 of Limited Liability Partnership Rules 2009, a copy of such declaration the estimated amount of the claims due to each of the creditors and an offer for creditors to accept such claims. Ø The creditors must give to the LLP their opinion in respect of voluntary winding up proposed by the LLP or acceptance of such offer within thirty days of receipt of the declaration . Provided that where the LLP pays the dues of creditors to their satisfaction, clause (b) or clause (c), as the case may be, shall not be applicable. Ø Notice of any decision of creditors shall be given by the LLP to the Registrar in Form No 5 within fifteen days from the date of receipt of consent of the creditors referred to above. Where LLP has by resolution resolved for voluntary winding up and consent of creditors under is received for voluntary winding up of the LLP, it shall, within fourteen days of the receipt of creditors’ consent, give notice of the resolution by advertisement in a newspaper circulating in the district where the registered office or the principal office of the LLP is situated. with the consent of majority of partners through resolution, appoint a voluntary Liquidator as LLP Liquidator for the purpose of winding up its affairs and fix the remuneration to be paid to the LLP Liquidator. Ø Provided that where such creditors do not approve the appointment of LLP Liquidator appointed by the partners of LLP, creditors shall appoint another LLP Liquidator, with two-thirds of the creditors in value of the LLP and fix the remuneration to be paid to the LLP Liquidator. Ø If the creditors and the partners of the LLP nominate different LLP Liquidators, the LLP Liquidator nominated by creditors shall be the LLP Liquidator but where the creditors neither approve the LLP Liquidator nominated by the partners of the LLP nor nominate any other LLP Liquidator, the LLP Liquidator nominated by the partners of the Ø LLP shall be the LLP Liquidator. Ø The LLP Liquidator, after his appointment, shall file a declaration in the Form No. 6 disclosing conflict of interest or lack of independence in respect of his appointment, if any, with the LLP or the creditors, as the case may be, and such obligation shall continue throughout the term of his or its appointment. Ø particulars of that LLP Liquidator, within ten days of such appointment or change in Form No. 7. Ø Provided that no such meeting of creditors is required, if creditors are paid their dues in the manner described above. (b) file an application with the Tribunal alongwith a copy of the final winding up accounts, explanations and report, for passing an order of dissolution of the limited liability partnership. Ø If the Tribunal is satisfied, after considering the application, final winding up accounts, explanations and report of the LLP Liquidator, that the process of winding up has been duly followed, the Tribunal may pass an order, within sixty days of the receipt of such application, accounts, explanations and report, that the limited liability partnership shall stand dissolved. Ø The LLP Liquidator shall file a copy of the order with the Registrar within thirty days in Form No 11. Ø The Registrar, on receiving the copy of the order passed by the Tribunal, shall forthwith publish a notice in the Official Gazette that the LLP stands dissolved. Ø In the event affairs of the LLP are not fully wound up within a period of one year from the date of commencement of voluntary winding up, LLP Liquidator shall file an application before the Tribunal explaining the reasons thereof and seek appropriate directions. (1) The LLP Liquidator must perform such functions and discharge such duties as are determined from time to time by the LLP or its creditors, as the case may be. (2) The LLP Liquidator must settle the list of creditors or partners, which shall be prima facie evidence of the liability of the persons named therein to be creditors or partners. (3) The LLP Liquidator must obtain approval of partners or creditors of LLP, as the case may be, for any purpose he may consider necessary. (4) The LLP Liquidator must maintain regular and proper books of accounts in the form and manner as specified in Part VI and the partners or the creditors or any officer authorized by the Central Government may inspect such books of accounts. (5) The LLP Liquidator must pay the debts of the LLP and shall adjust the rights of the partners among themselves. (6) The LLP Liquidator must observe due care and diligence in the discharge of his duties. Notice of appointment of LLP liquidator – The notice of his appointment which every LLP liquidator is required to be published in the newspaper shall be in Form No. 90 and the notice of the appointment to be delivered to the Registrar shall be in Form No 7. Security by LLP liquidator appointed by Tribunal. – (1) Every LLP Liquidator appointed by the Tribunal shall, before entering upon his duties as a Liquidator of the LLP for which he is appointed, furnish security in such sum and in such manner as the Tribunal may direct. The cost of furnishing the required security shall be borne by the LLP Liquidator and shall not be charged against the assets of the LLP as an expense incurred in the winding up. and brought down to the end of twelve months from the commencement of the winding up shall be filed within one month from the expiration of such twelve months, and subsequent statements shall be filed at intervals of half a year, each statement being brought down to the end of the half year for which it is filed. Where the winding up is concluded before the expiration of a half-yearly interval, the final statement of account brought down to the close of the winding-up shall be filed forthwith. (2) Where the time for filing the statement has expired the Tribunal may on application extend the time, and unless the Tribunal otherwise orders, the costs of such application shall be borne by the liquidator personally. (3) The statements shall be in Form No. 15 (with such variations as may be necessary in the case of the final account) and shall be prepared in accordance with the instructions contained in the Form and verified by an affidavit. (4) Where the liquidator has not, during any period for which the statement has to be filed, received or paid any money on account of the LLP, he shall, at the period when he is required to file his statement, file with the Registrar the prescribed statement in the above Form No. 15, containing the particulars therein required with respect to the proceedings in and the position of the liquidation together with an affidavit of no receipt or payments. (5) Every statement shall be filed in duplicate with the Registrar, and, in a winding up under the supervision of the Tribunal, a copy of the statement shall also be filed in the Tribunal, within the time prescribed in clause (1) above. Ø The accounts shall be audited by a Chartered Accountant, and for the purpose of the audit, the LLP Liquidator or liquidator shall furnish the auditor such vouchers and information as the auditor may require. commencement of the voluntary winding up. Ø Provided that no such arrangement shall be entered into without the consent of the secured creditors, if any. Ø Any transfer, sale or other arrangement made in this manner shall be binding on all the partners of the transferor LLP. Ø Any partner of the transferor LLP who did not vote in favour of the resolution and expressed his dissent therefrom in writing addressed to the LLP Liquidator and left at the registered office of the limited liability partnership within seven days after the passing of the resolution, may require the LLP Liquidator to purchase his interest at a price to be determined in accordance with the agreement or by the registered valuer. Ø If the LLP Liquidator decides to purchase such partner’s interest, the purchase money, raised by him in such manner as may be determined by a resolution passed by three- fourths of total number of partners, shall be paid before the limited liability partnership is dissolved. Subject to the provisions of the Act and the rules in respect of overriding preferential payments, the assets of an LLP shall, on its winding up, be applied in satisfaction of its liabilities pari passu and, subject to such application, shall, unless the LLP Agreement otherwise provides, be distributed among the partners according to their rights and interests in the LLP. Any arrangement entered into between an LLP in the course of being wound up and its creditors by three-fourths of the total number of partners of LLP and the three-fourths of the total number of creditors in value shall be binding, provided that the said arrangement is presented before the Tribunal within twenty one days from the date of approval by the LLP and the creditors and is approved by the Tribunal. (b) to exercise as respects the enforcing, the staying of proceedings or any other matter, all or any of the powers which the Tribunal might exercise, if the LLP were being wound up by the Tribunal. 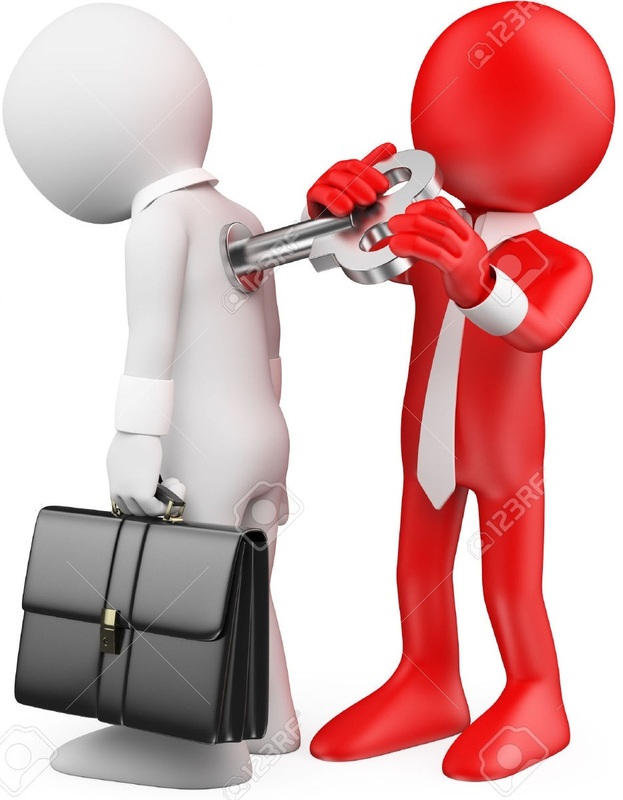 Ø The LLP Liquidator or any creditor or partner may apply to the Tribunal for an order setting aside any attachment, distress or execution put into force against the estate or effects of the LLP after the commencement of the winding up. Ø The Tribunal may, on such an application, allow the application on such terms and conditions as it thinks fit or may make such other order on the application as it thinks fit. Ø Where an order staying the proceedings in the winding up is made, a copy of such order shall be filled by the LLP in Form No 11, with the Registrar, within thirty days of such order. All costs, charges and expenses properly incurred in the winding up, including the fee of the LLP Liquidator, shall, subject to the rights of secured creditors, if any, and workmen, be payable out of the assets of the LLP in priority to all other claims.